Why should you get to know your customers? Because they could inspire your next big idea. 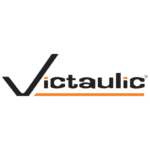 At Victaulic, we take great pride in engaging our customers, providing us the opportunity to deliver thoughtful solutions to their construction challenges – it’s been core to our business success for nearly 100 years. In celebration of “Get to Know Your Customer Day,” we are highlighting four ways customers inspire Victaulic solutions. Today’s consumer has access to more information than ever before (we can debate the accuracy of that information another time). But the truth is, the internet allows for the quick and easy exchange of information and ideas. Most consumers leverage some trusted platform, outlet or forum to learn and share industry-relevant information. These exchanges can be a great way to gather honest, unfiltered opinions and suggestions, and understand customer pain points. We are particularly fond of the Autodesk forum, as we continue to develop additional features for our Revit add-on, Victaulic Tools for Revit®. If you are a contractor or engineer looking to fabricate and procure within Revit, download your free 30-day trial, here. While passive listening can generate ideas, sometimes you need to get specific. At Victaulic, our website survey was essential in helping our digital team redevelop our corporate website, which launched in June 2017. A direct result of customer feedback is our new Product Guide allowing customers to search our product offering by application, pipe material, pressure, size, and product type. We continue to use data from our website feedback form to guide improvements our customers are seeking. Our customer service department and sales team are always answering customer questions. Since we know other people may have similar questions, we leverage our blog to provide answers to commonly asked questions to a broader audience who may be searching the internet – we’d rather have you hear it from Victaulic. A fan favorite is our series on “Debunking Myths About Joining HDPE.” Here is the latest post in that series. Customer input is ingrained in every step of Victaulic’s product development process, often serving as the inspiration for a new idea in the first place. Susan Schierwagen, Victaulic’s VP of Product Development for Fire Protection was recently quoted in an article talking about her experience spending time with customers. “By listening, engaging and understanding our customer’s challenges, I was able to work with material engineering, product technology, and process technology to develop a ceramic-coated coupling solution…” But it doesn’t just stop at the beta sites. Susan also visits the job site after a product is complete to follow-up. She says, “You know you have a good solution when you visit customers on the job site and see their reaction to a new technology.” Read more about Susan and her contributions to the Fire Protection industry here. Get to know Victaulic by following our blog as we continue to post industry-relevant content, FAQs, customer case studies and general happenings.